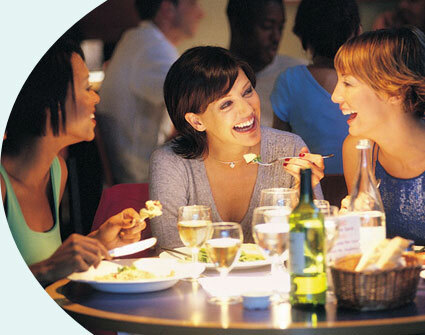 Girls Go Out.co.uk is not a dating agency. It has been set up so that girls can make contact with other girls and find new friends in a safe and convenient environment. From the site you can make contact with other girls who are also looking for new friends and you can plan and enjoy days, evenings, events and trips with them or just meet for a simple chat. The friendships you make here could last forever! I devised this site because I was finding it increasingly hard to find new girl friends. I had old friends but they, like most people, went through lifestyle changes and over time we drifted apart. I was running out of girlfriends who liked to do the things I liked. I found that there weren't many ways to make new friends, only those dating agencies where the objective is to meet guys or the web sites where you meet existing friends. I wanted to find new friends that had more in common with me, liked the things I liked and wanted to try new things and perhaps eventually organise days out and holidays. How could I find them? How would I know when I chatted to them that they wanted a new friend? Would I ever speak to someone who was like minded? This site is set up for this very reason, if this sounds familiar why not give it a go — see how easy it is. You are invited to make a profile: you do not have to subscribe to do this. If you choose to subscribe and become a member you will be able to search through the profiles of other members on the site and make contact with them either through emailing or chatting online. There are various search criteria to choose from so you should find someone who is like-minded. Once you get talking you could invite them to a local coffee shop or for lunch to continue the chat in person or just continue to chat online whatever is good for you. Girls Go Out subscribing members can also take advantage of the invitation register. This is a special feature whereby members are able to post invitations for any type of event onto the website. Other members will then be able to search by category and location to find out what is going on in their area. They then simply select and accept the invitation that suits. This enables members to organise get-togethers with one or multiple members without having to approach anyone directly. It allows for group meetings and events which are always more fun and it is certainly much easier to meet and find friends in this environment. You could post an invitation to the theatre or to a pub or for someone to join you for a skiing lesson or a horse riding trek. You could even invite a group of girls to join you on a fun run, anything is possible. There should be an invitation that suits everyone. If not, then open your own, someone will surely want to join you. Let's get all the girls going out. Short of ideas on what to do? There are sections within the site to help you with this too. There are plenty of suggestions to get you started and links to days out and events to suit all tastes so you will never be lost for ideas. Join the site now and start chatting to the members and making new friends. Take part in the activities they propose or invite others to your event or outing.